EVENTS Denver Broncos Fan Appreciation Day!!! Denver Broncos Fan Appreciation Day!!! Its that time of year again Denver Broncos Fans. Fan appreciation day is here again. 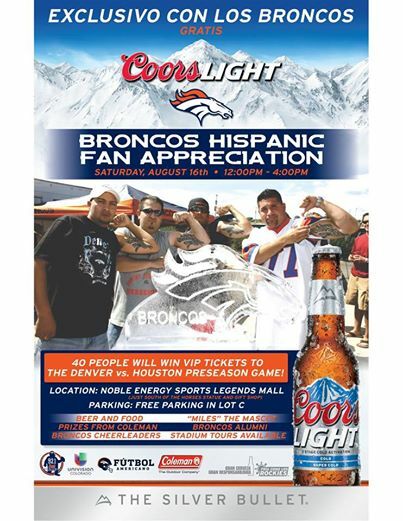 Monkey Fist Tattoo, The Horsemen, Coors Light, and the Denver Broncos bring you a free party. Usually held at Berekely park in Denver, this year will be held at Mile High stadium. Families and friends are all welcome to join in this free event. Hope to see you all there. Thanks for the support.